LIVE A LIFE OF MEANING AND CONNECTION Instead of pushing for perfection. From the author: A few years ago, I found myself exhausted and isolated, my soul and body sick. I was tired of being tired, burned out on busy. And, it seemed almost everyone I talked with was in the same boat: longing for connection, meaning, depth, but settling for busy. 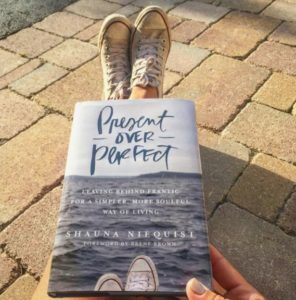 If you’d like to join the Present Over Perfect Book Club, you can purchase the book though Amazon and email Cynthia Cross for webinar login information.